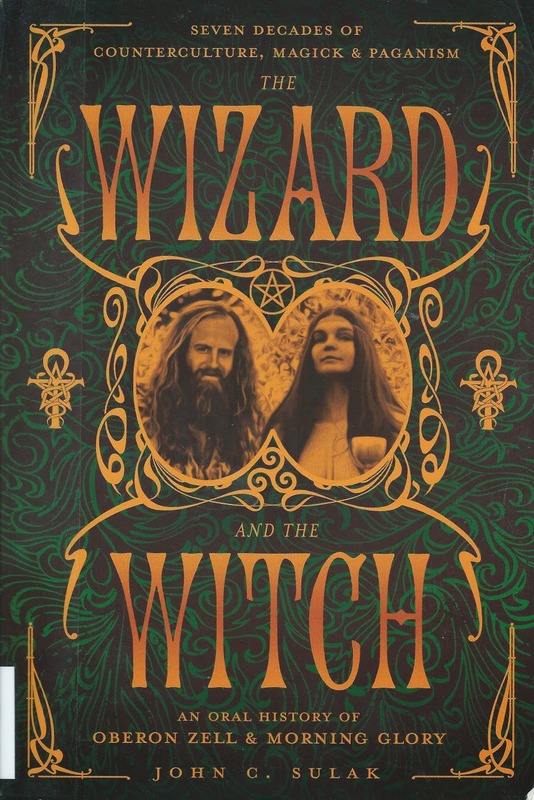 I grabbed the The Wizard and the Witch: Seven Decades of Counterculture, Magick & Paganism by John C. Sulak, figuring it would be fun bit of nostalgia, but then it hooked me. In the early chapters, science fiction is mentioned on almost every page, more often than drugs. Turns out that Oberon Zell and Morning Glory, the founders of the Church of All Worlds were science fiction fans, influenced by Robert A. Heinlein's Stranger in a Strange Land, Tolkien's Lord of the Rings, Star Trek, Doctor Demento, the Firesign Theater, and later, even Star Wars and Harry Potter. It's not just a book about an alternative lifestyle/religion; the narrative intertwines science fiction, fandom, and the development of home computers with the story of modern Paganism. They also make unicorns and search for mermaids, and pioneer social networking before and after the Internet. There's also the “it's complicated” soap opera of polyamorous relationships. And this kind of Paganism is so science-friendly -- even philic. These are people who didn't just consume science fiction – they lived it. Ron Cobb, the underground cartoonist who designed the space hardware for Alien, once said that he considered science fiction to be a verb – something you do, rather than a product you consume. And it's amazing what people can do. It's kind of sad to see how today's nerds compare to yesterday's fans. Kids don't really believe me when I tell them that in science fiction conventions back in the Seventies you kept finding yourself in scenes that looked like an indoor Woodstock. Now they all line up to get their chance to worship their favorite corporate franchises. But there is something in the air these days. Maybe the discontent will save the nerd identity from becoming just another marketing strategy. This book could help. It's a wild read.